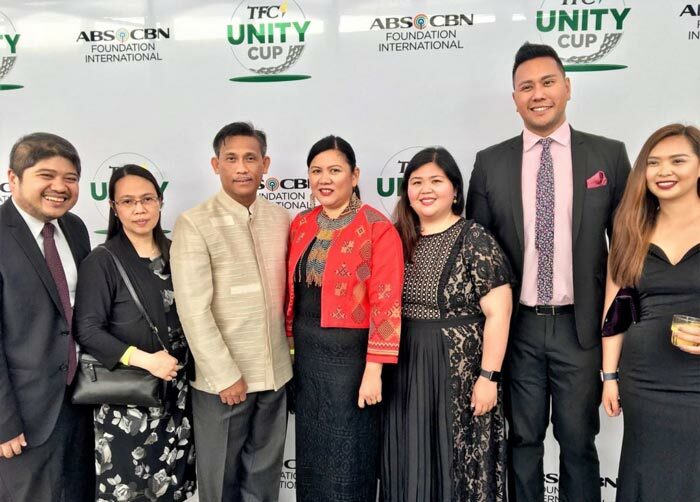 You know the saying, “Throw kindness around like confetti?” That is exactly how it felt like during the TFC Unity Cup Gala and Awards Night recently held at the South San Francisco Convention Center. 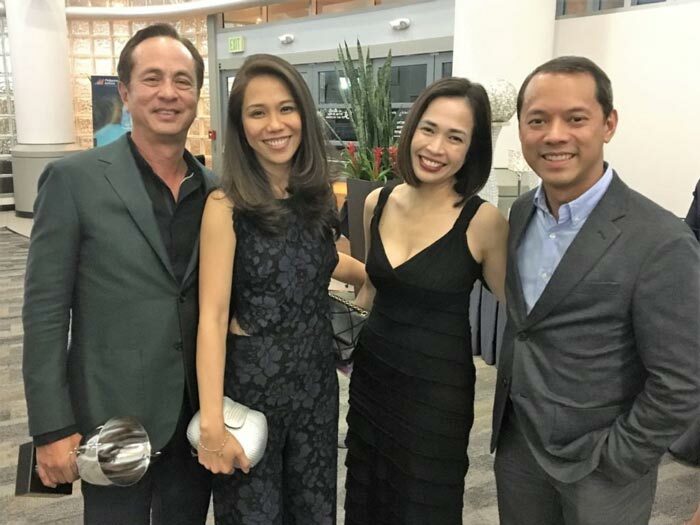 Around 300 people – community leaders, golfers, donors and friends came out to support the fundraiser for the children of Bantay Bata (Child Watch), a child rescue program under the ABS-CBN Foundation. It was an incredible evening of dinner, raffles, awards, and a show headlined by the Philippines’ Concert King Martin Nievera. Adobo Nation’s Ginger Conejero and Global Business Unit Head for TFC.tv/TFC Online Enrique Olives, who was also lead for the golf tournament hosted the awards portion, with Lee Robin Salazar joining Conejero for the main show. 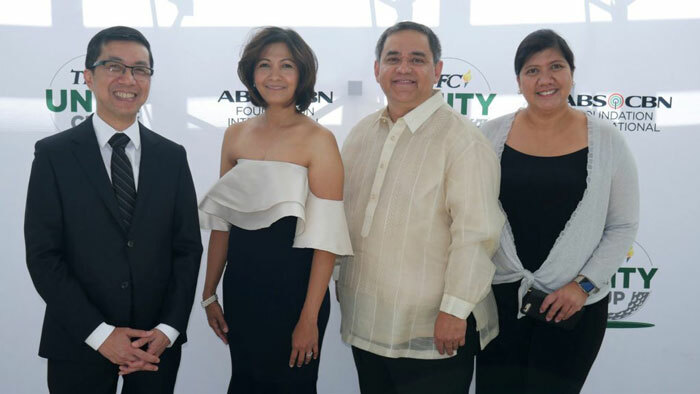 Bantay Bata is now celebrating its 21st year of existence, and with the funds raised they hope to dramatically improve the lives of hundreds of children. Winners of the inaugural TFC Unity Cup Golf Tournament were also awarded at the gala. Global Business Unit Head for TFC.tv/TFC Online Enrique Olives, who was also lead for the golf tournament, shared that strategy for this year’s tourney was to go for quality and not quantity. “Green Hills is limited to a field of 110 players. 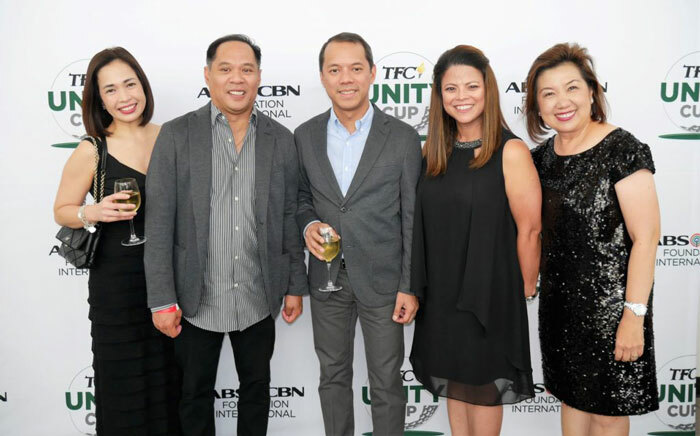 Hopefully next year we can hold it in a 36-hole course and have 250 players and they’re out for a good cause and we can raise even more funds for the ABS-CBN Foundation,” said Olives. Father-and-son team, Renato and Michael Fortaleza, won in the Best-Dressed category for the second year in a row. Their yellow shirts were purchased in the Philippines when they travelled on the PAL ticket won at last year’s raffle. The shirt design honors Michael’s mother’s side who is Igorot, and it was made by Easter Weaving in Baguio, in the northern region of the Philippines. Renato jokes that since they are not likely to win at playing golf, they might as well arrive as the best-dressed. Adricula started Bantay Bata Voices, a church-based children’s choir who shares their gift of music trough worship and by performing in benefit concerts for Bantay Bata. Ellona Santiago, from “The X-Factor” show also wowed the audience with her show-stopping front-act performance. Throughout the evening, the Foundation expressed its gratitude and appreciation to their generous donors by awarding them certificates of recognition. Donors included Philippine Airlines, Jollibee, Megaworld, Unilever, Pass-It-Forward, Seafood City, Alphagraphics, Insperity, Remitly, South Main Rejuvenation Center, Martin Purefoods, the Law Offices of Michael Gurfinkel, Financial Rescue, Goldilocks, Jazzy France, Flowers & Events by Dani, South San Francisco Conference Center, Noriel Adricula, Maribeth Lalongisip, and Chris Grande. The headliner of the evening, Philippine Concert King Martin Nievera, gave a delightful performance to the gala attendees. Nievera regaled the audience with his beloved songs and took time to go to the crowd and oblige them with some selfies and sing-alongs. The gala proved to be a very inspiring evening for the organizers and the attendees. They have Bantay Edukasyon scholars like John Paul Moreno, who recently graduated from the University of the Philippines, despite their unfortunate circumstances where his parents never even imagined they could afford an education for their son. Moreno was able to realize his dream through the Foundation’s kindhearted donors.